Today, I was at Whitefish Bay Middle School with two very special guests from NYC—Will & Anthony Nunziata. As I arrived at the school (well before my caffeine had kicked in), all I could remember was how middle school years are… well, awkward. Beyond being ridiculously self-conscious in middle school, I was a geek with braces and slicked back hair, a pony tail, and no cool points to be had. Perhaps the students I had the opportunity to work with today feel the same way, but as the Nunziata Broadway-singing powerhouses put some of the school’s eighth grade chamber choir students in the hot seat, all I saw were bright, shining stars. 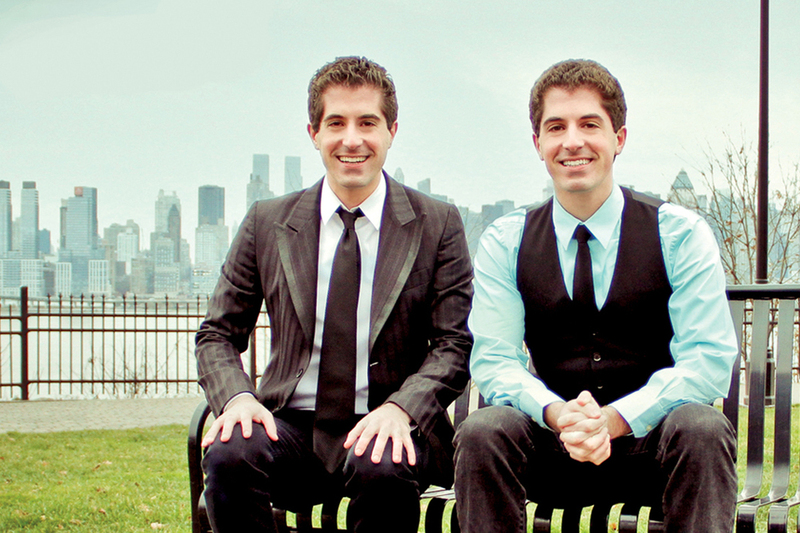 Having prepared a Broadway favorite, each young artist had two opportunities to sing solos for the Nunziata brothers—in front of their peers—and received feedback both times. The bravery of these students was jaw-dropping; I felt like I was in a Broadway audition rather than a middle school music room. And the difference between try number one and try number two demonstrated not only the Nunziatas’ musical talents, but also their passion for working with students and their ability to inspire students to push themselves beyond what they might think they are capable of doing. So much of what I observed at today’s outreach opportunity reminded me that students can… no, WILL rise to new levels if an educator or coach or teaching artist truly enjoys what they do and is able to share that love with their students. I watched the dedication and passion of their choir director Jeff Shoemaker. I watched the eighth graders realize how much they love to sing. And I watched the arts demonstrate themselves to be an essential ingredient to get through the middle school years. Here’s to Mr. Shoemaker, Will, Anthony, and all passionate arts educators! You brush aside the curtains on those awkward childhood years and encourage students to bring their bright, shining selves into the spotlight. Shine on!